In May 2018 Wijnand PD5WL came over for a weekend to get out, to enjoy the night life in Almelo (especialy Cafe de Stam) and to do some hamradio stuff. 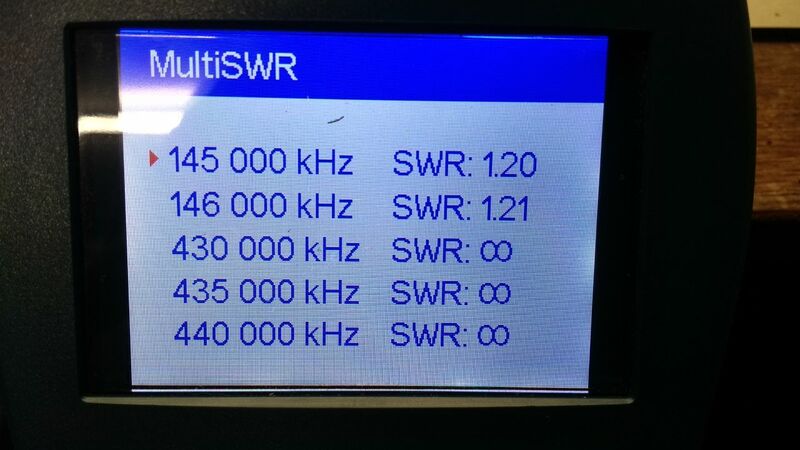 One thing he brought with him was a Arrow II 2m/70cm antenna clone (link) which needed some calibration and he would like to try out in the field (which we did see our Field report of 20 May 2018 ). One thing we where missing was a 2m/70cm diplexer so the 2 antennes could be used on a single handheld or portable station. 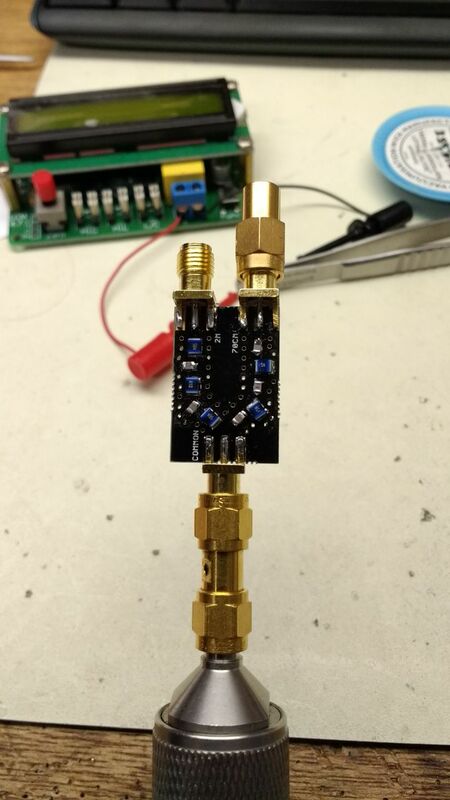 Some googling around for "2m 70cm diplexer" you find some big (which work perfect) and some small versions. When the PCB's where orderd (which took a little longer then expected because of the holidays) the hunt for the components was on. 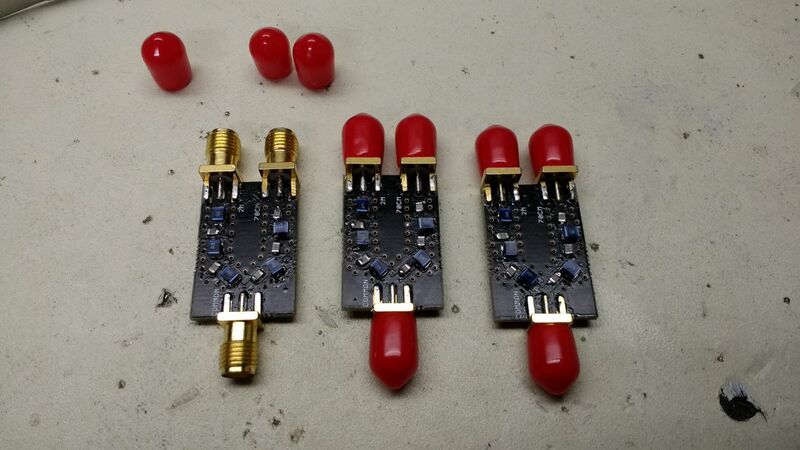 And when I finaly got the last parts in the mail for the SMD 2m 70cm diplexer I started to build 3 of them. One for myself, one for my friend Wijnand and one extra for stock and experiments. Build and ready for testing. 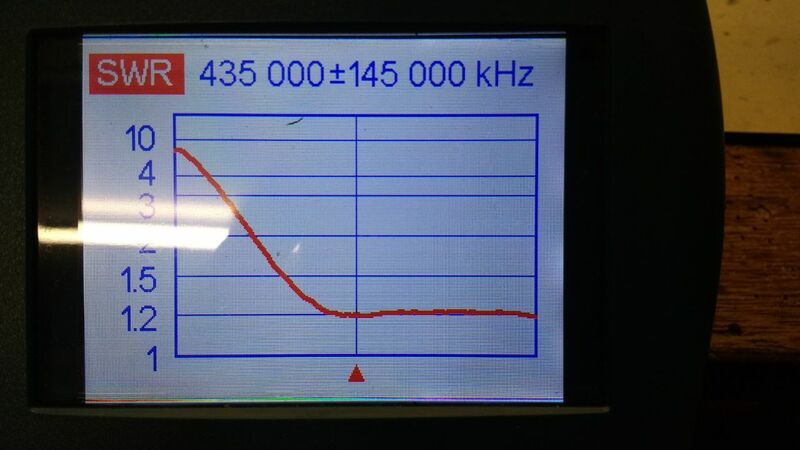 But when you don't have spectrum analyzer with a tracking generator, you have to be creative. 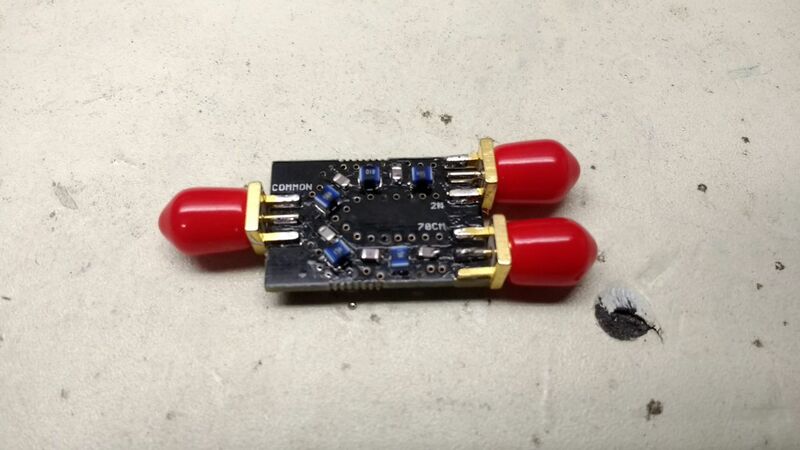 So I just used my RigExpert AA600 for that by connecting it to the common connector and using a SMA dummy load for the part under test (photo below showing the dummy load on the 70cm part). 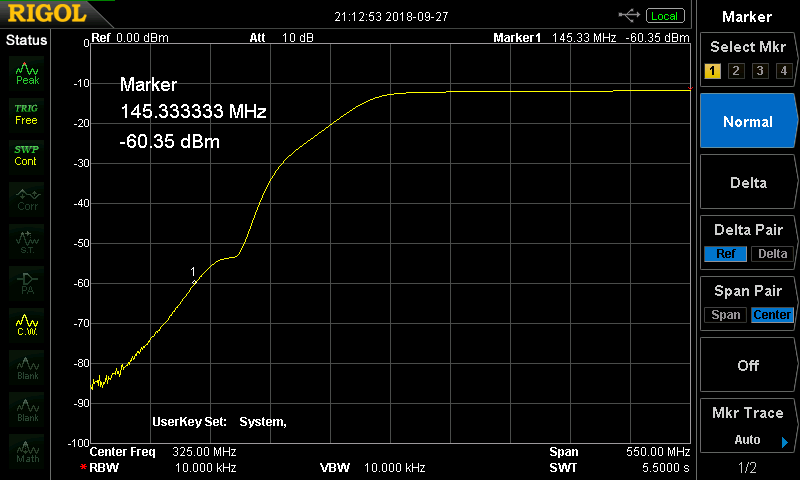 Same setup but then with the dummy load on the 2m part. 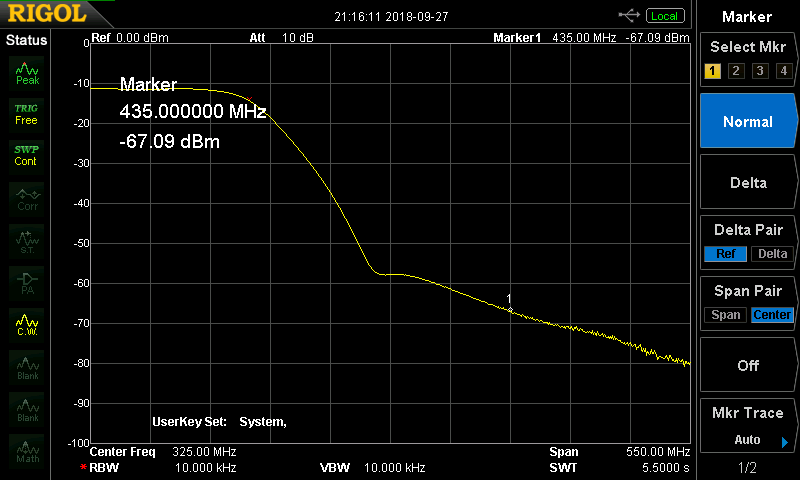 Same setup with dummy load on 70cm part. 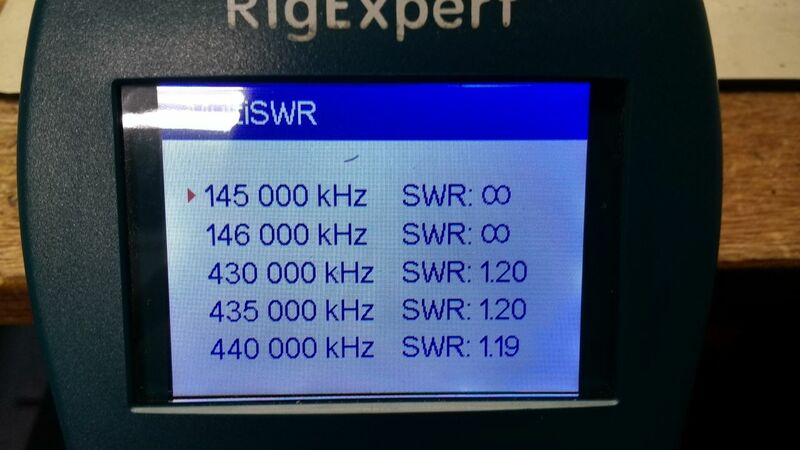 A few weeks later I could use the Rigol Spectrum Analyzer of my hamradio group. 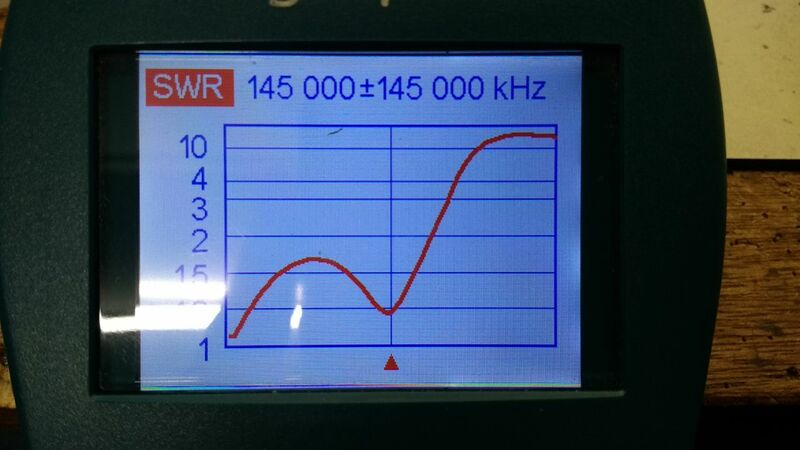 Note : TG signal level is -12dBm.